EconomicPolicyJournal.com: 44 Years Ago, Economist Murray Rothbard Predicted the Rise of Netflix, HBO, Amazon, etc. 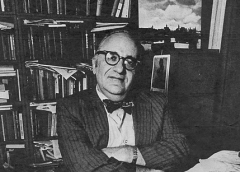 44 Years Ago, Economist Murray Rothbard Predicted the Rise of Netflix, HBO, Amazon, etc. the big networks will no longer be able to put pressure upon the FCC to outlaw the effective competition of pay-television. It is only because the FCC has outlawed pay-TV that it has not been able to gain a foothold. “Free TV” is, of course, not truly “free”; the programs are paid for by the advertisers, and the consumer pays by covering the advertising costs in the price of the product he buys. One might ask what difference it makes to the consumer whether he pays the advertising costs indirectly or pays directly for each program he buys. The difference is that these are not the same consumers for the same products. The television advertiser, for example, is always interested in a) gaining the widest possible viewing market; and b) in gaining those particular viewers who will be most susceptible to his message. Hence, the programs will all be geared to the lowest common denominator in the audience, and particularly to those viewers most susceptible to the message; that is, those viewers who do not read newspapers or magazines, so that the message will not duplicate the ads he sees there. As a result, free-TV programs tend to be unimaginative, bland, and uniform. Pay-TV would mean that each program would search for its own market, and many specialized markets for specialized audiences would develop—just as highly lucrative specialized markets have developed in the magazine and book publishing fields. The quality of programs would be higher and the offerings far more diverse. In fact, the menace of potential pay-TV competition must be great for the networks to lobby for years to keep it suppressed. But, of course, in a truly free market, both forms of television, as well as cable-TV and other forms we cannot yet envision, could and would enter the competition.